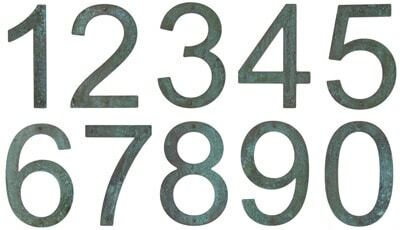 Copper has always been known for its elegance, grace and styling, so we offer to you these pure copper house address numbers. 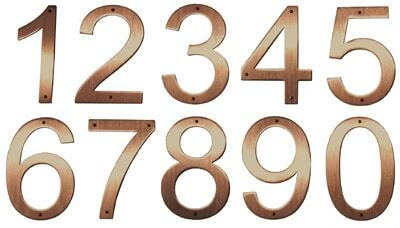 These 5 inch Patina copper house numbers are 100% pure copper and come complete with copper mounting hardware. 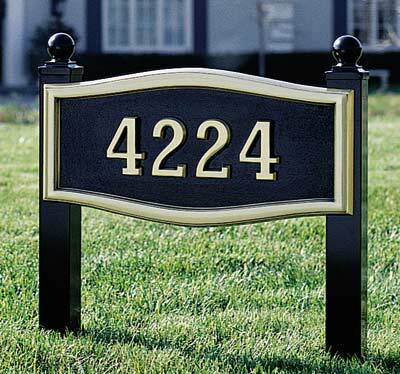 You have the option of direct mount address numbers or use standoffs for the 3-D effect. Patina Copper is a process where we pre-age the pure copper to achieve a true patina (not a painted on coating). This gives the copper address numbers their own unique weathered look. They will continue to patina and add character throughout the years. 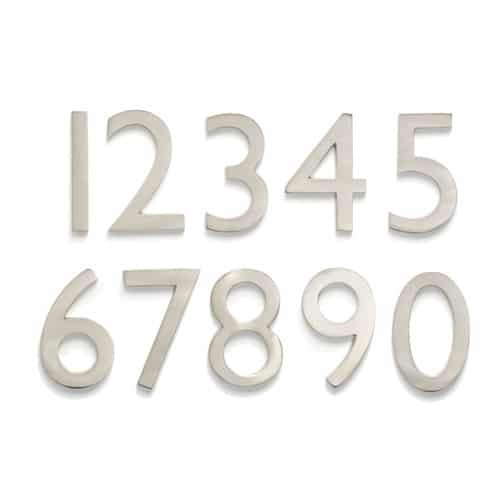 Our 5 inch pure copper house numbers are constructed of 16 gauge solid copper. We also carry 5 inch brushed satin copper numbers. 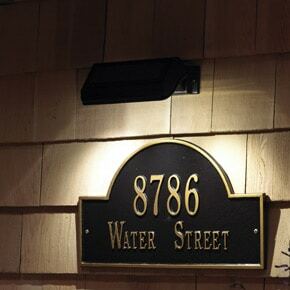 Illuminate your copper address numbers with an optional solar lamp, which automatically lights up at dusk and turns off at dawn, shining brightly for up to 14 hours. 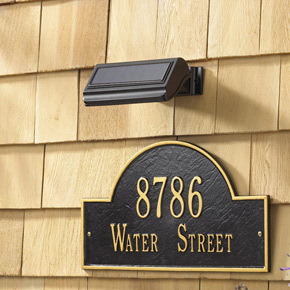 View all MailboxWorks house numbers and letters here. 0, 3, 5, 6, 7, 8, 9 5" 3.25"